Spooky Tooth were one of Island Records' finest acts, yet never quite scaled the upper echelons of the late 60's / early 70's rock hierarchy. Always a band much loved by writers and fellow musicians, they lacked the commercial sucker punch that would've catapulted them to the toppermost of the poppermost. It didn't stop them making some corking records, however. 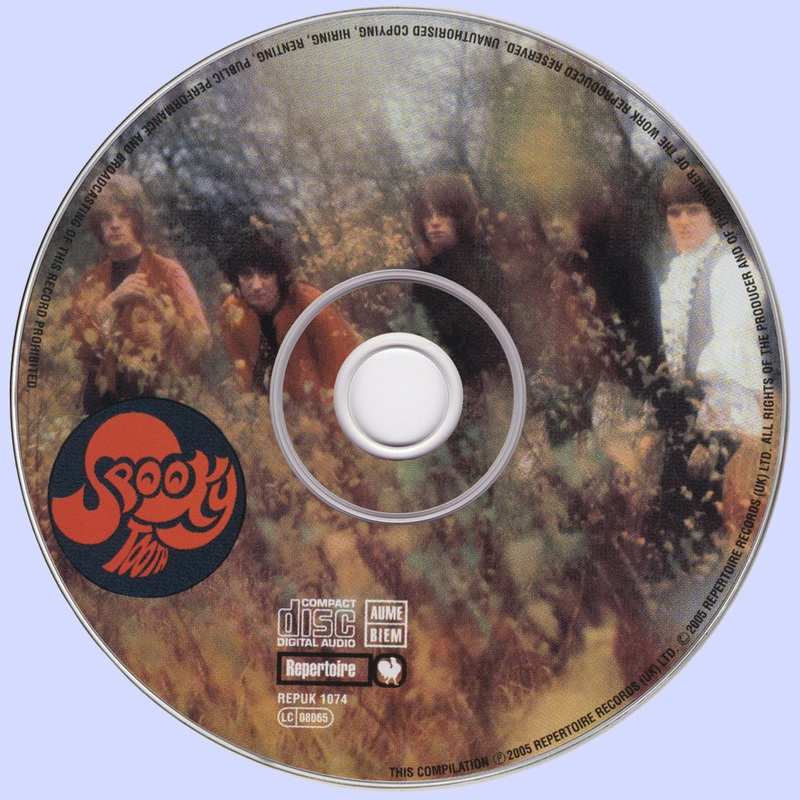 The Spooky Tooth story (for those of us who are into this sort of thing), if you want to wax analytical about it, provides the perfect paradigm of how various members of disparate 60's British Beat bands pooled their musical resources and mutated into a psychedelic / progressive outfit. The original VIP's line-up recorded three more singles ("Wintertime" as The Vipps for CBS, plus "I Wanna Be Free" / "Don't Let It Go" and "Straight Down To The Bottom" / "In A Dream" for Island, produced by Island stalwart Guy Stevens) before disbanding. Henshaw, Johnstone and Kenyan were replaced by Luther Grosvenor (guitar), Mike Kellie (drums), and Keith Emerson (keyboards). Emerson had previously been a member of Gary Farr & The T-Bones; this variant of The VIPs gigged for only three months, before Emerson upped and formed The Nice, with Brian "Blinky" Davidson, Lee Jackson and Davy O'List. The remaining quartet changed their name from the by then somewhat anachronistic VIPs, to simply Art-Worcester-born Grosvenor had played guitar for The Hellians, whose 1964 single, "Daydreaming Of You", released on Pye subsidiary Piccadilly, was produced by maverick West Coast genius / madman /charlatan Kim Fowley. The Hellians, if I may digress still further, boasted the nascent talents of both Dave Mason and Jim Capaldi, who would, of course, go on to form Island mainstays Traffic with Steve Winwood, and a young Poli Palmer, who latterly rattled the Joanna for Family. The Hellians in turn mutated into Deep Feeling. Mike Kellie, originally from Birmingham, had drummed for second city band Locomotive, who also featured sax and flute player Chris Wood, who joined Traffic in 1967. There. See how incestuous this little scene was? Anyway, Locomotive would go on to enjoy a UK Top 30 hit with the ska-rhythmed "Rudi's 1? Love" (unusually enough, the band were very heavily ska and bluebeat driven), and in 1969 put out the awesome latterday psychedelic gem "Mr. Armageddon". Art cut one album, "Supernatural Fairy Tales", also produced by Guy Stevens (and also available on Edsel), released in 1967. Beautifully housed in a Hapshash And The Coloured Coat-designed sleeve, its original Island Records catalogue number was, ironically enough, ILP 967. Hapshash And The Coloured Coat released an album on Liberty, in which Art featured as backing band on several tracks. Art's line-up was swelled by the addition of American Gary Wright in October 1967, which initiated a name change - Art became Spooky Tooth. 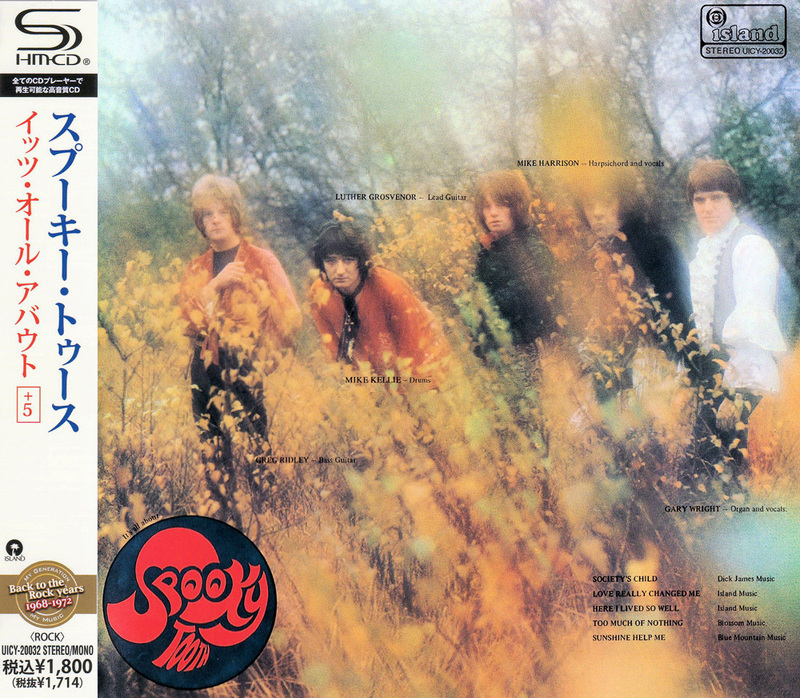 Spooky Tooth's full-length debut has a tone similar to Traffic with its psychedelic take on the influential pop and soul music of the '60s. A few cover tunes including Janis Ian's "Society's Child" and the Nashville Teens' "Tobacco Road" are included, but original songs like the soulful ballad "It Hurts You So" and "Bubbles" (with its Beach Boys sensibility) are the real standouts. The cheery, psychedelic "It's All About a Roundabout" is the catchiest number by far. On this dreamy cut, vocalist/keyboardist Gary Wright demonstrates some sharp melodic and compositional instincts. Although Spooky Tooth eventually became better-known for their straightforward blues-rock, the trippy pop of It's All About counts as a career highlight for the group. Fans of late-'60s British rock are definitely advised to check out this impressive release.